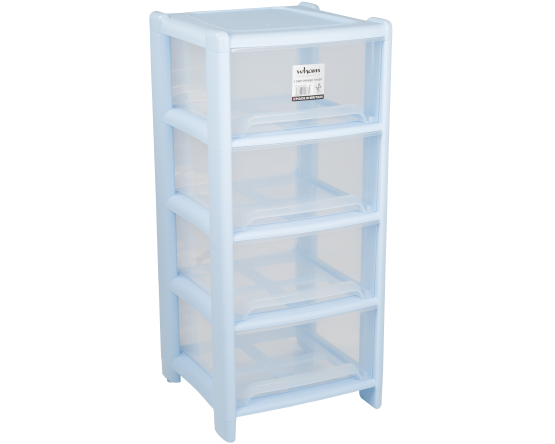 This 4 drawer unit is a very useful around the home such as in the garage, bedroom and office. Clear drawers for easy use. ONE COLOUR PER PALLET.